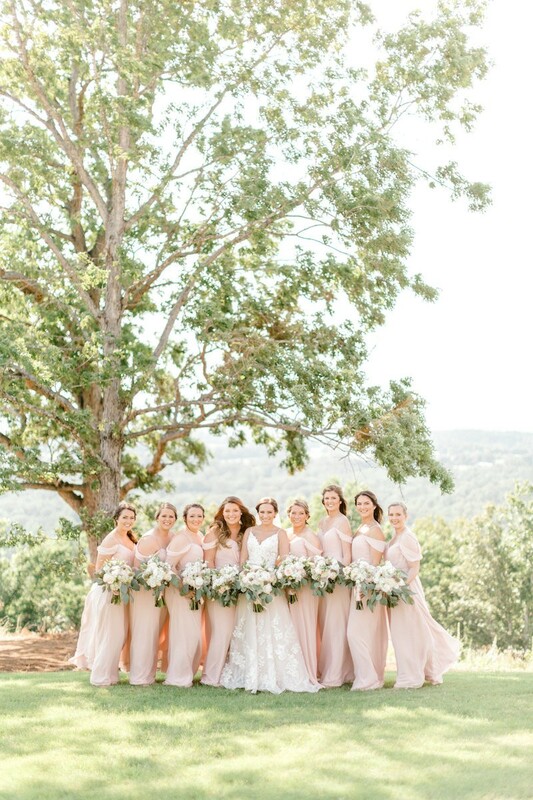 This beautiful blush and gold wedding was the first-ever wedding held at the new Hillbrook Farms venue in Twin Groves. 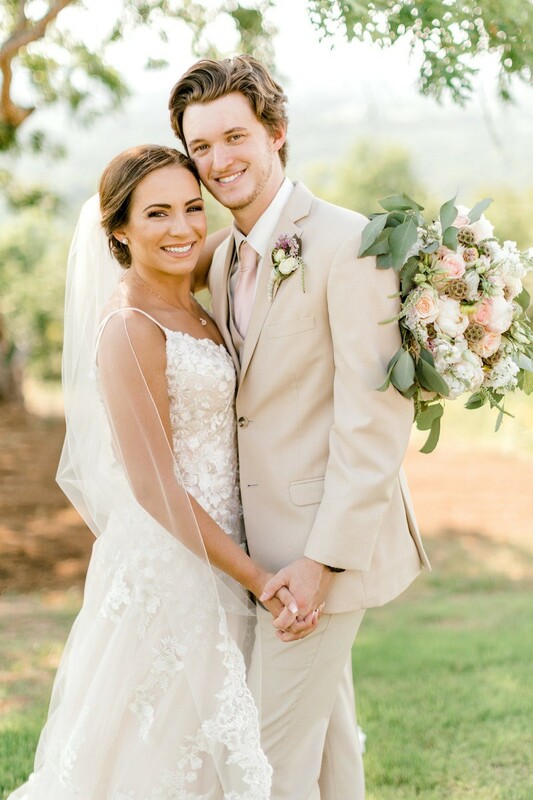 El Dorado natives Rachel Dixon and Blake Ham said their “I dos” on June 16 at Hillbrook Farms in Twin Groves. The two met way back in 5th grade at one of Rachel’s annual Halloween parties. Blake popped the question during a stroll through Central Park. “We were taking pictures on the bridge with The Plaza Hotel behind us when Blake got down on one knee and asked me to spend forever with him,” she says. 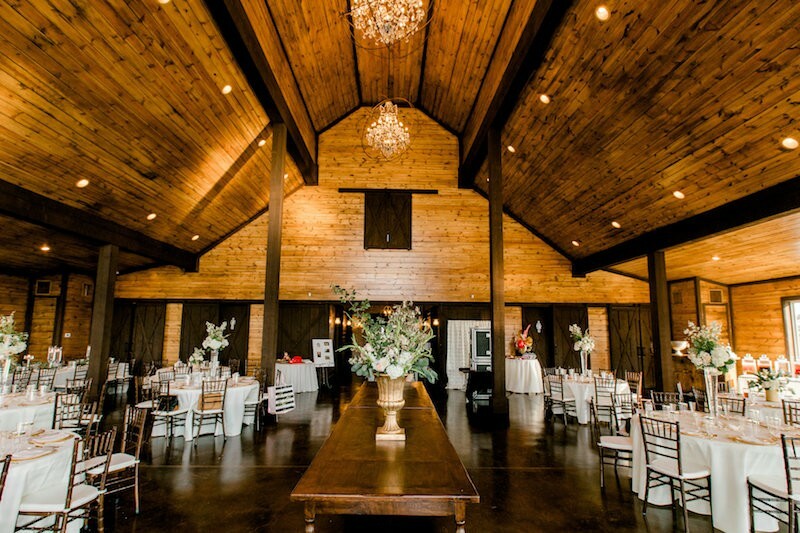 Hillbrook Farms holds a special significance to the couple. 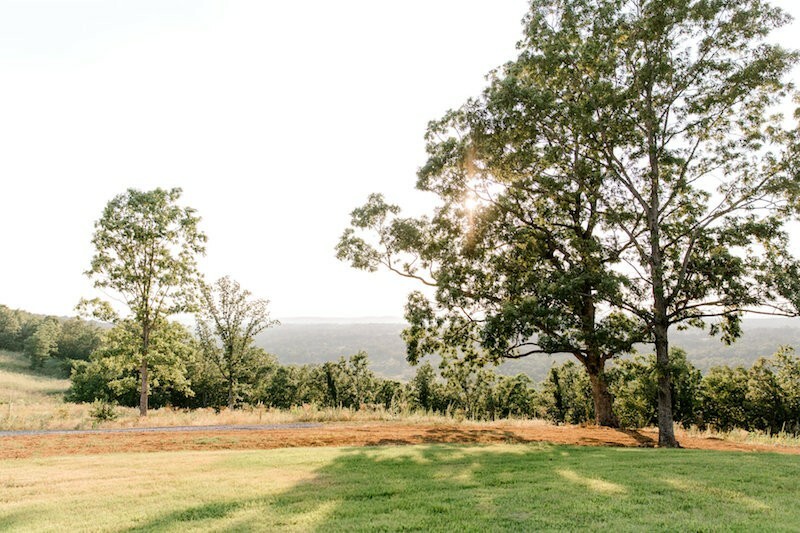 While they were on the train back to Washington D.C. from New York, Rachel’s aunt, Carrie Hillis, told her that she was planning on building an event barn on the property she owned. 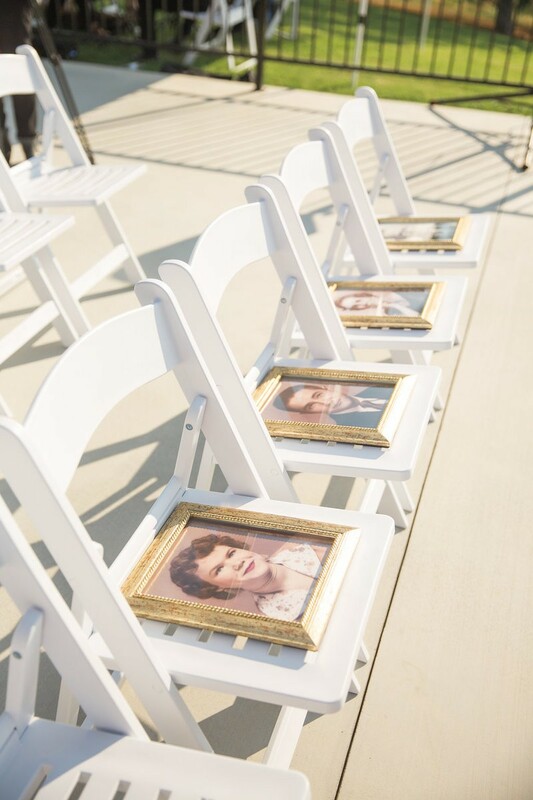 Initially, Rachel was apprehensive because she had always dreamt of having a small wedding in a little chapel. 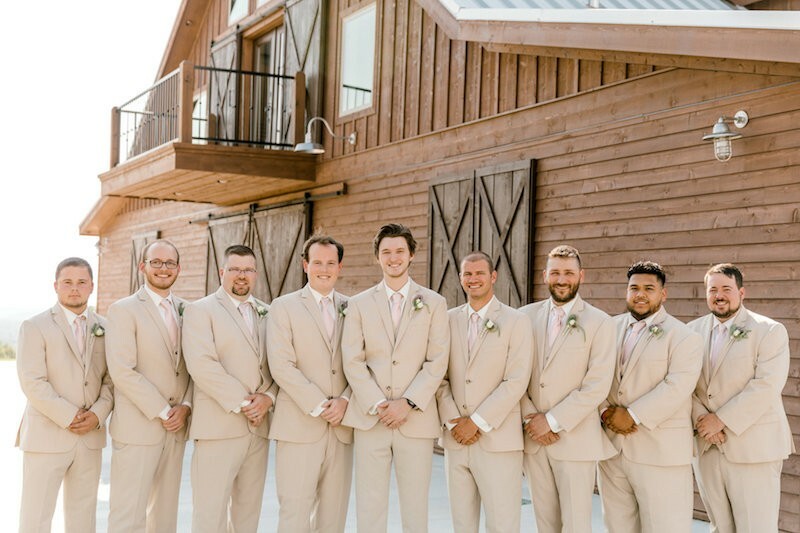 But she quickly changed her mind after she saw Hillbrook Farms being built and decided to have her wedding be the first at the brand new venue. 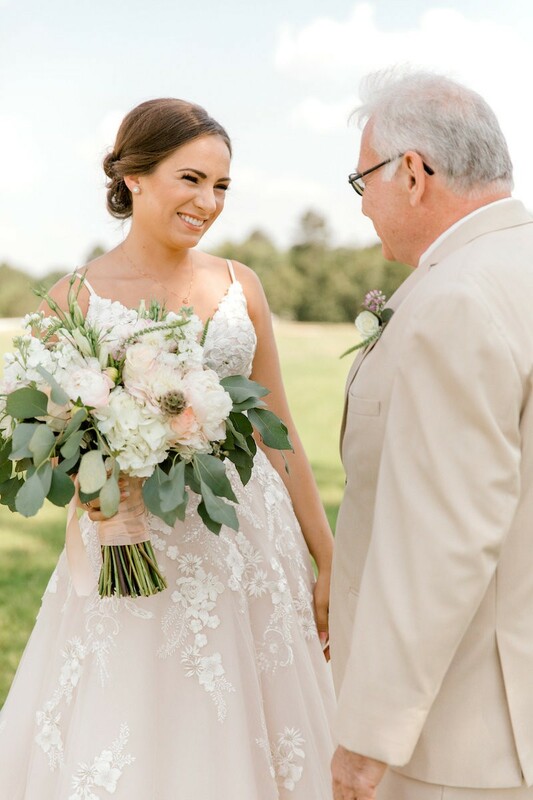 We chatted with Rachel about her lovely, intimate wedding at Hillbrook Farms and all the details that made it her best day ever. 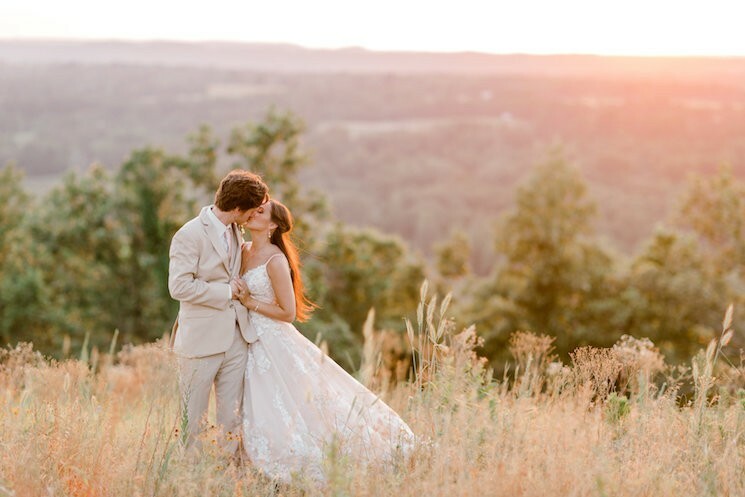 On her wedding planning experience: "Being a veterinary student, I was extremely overwhelmed with the whole planning process, but I still wanted to play a part in it, so I asked Hannah Lamb from Hannah Lamb Events to help plan. 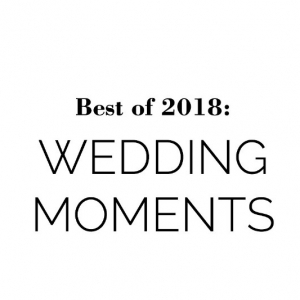 I knew I wanted our wedding to be small (120 guests) but I also wanted it to be unique so people weren’t bored and it wasn’t like every other wedding you attend." 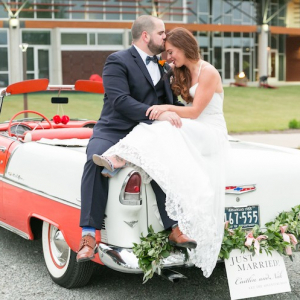 On her wedding gown: "My wedding dress came from Low’s Bridal & Formal. It was from the Eddy K Couture 2018 Collection. I knew I wanted spaghetti straps and lace. The dress I chose was A-line with a V-neck and spaghetti straps. 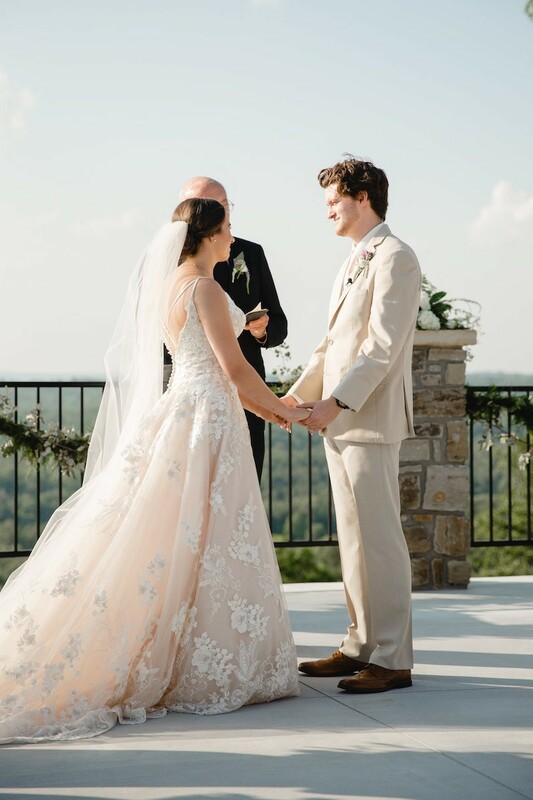 I chose to remove some of the tulle to give the dress a more relaxed, romantic look versus the ball gown it was designed to be." 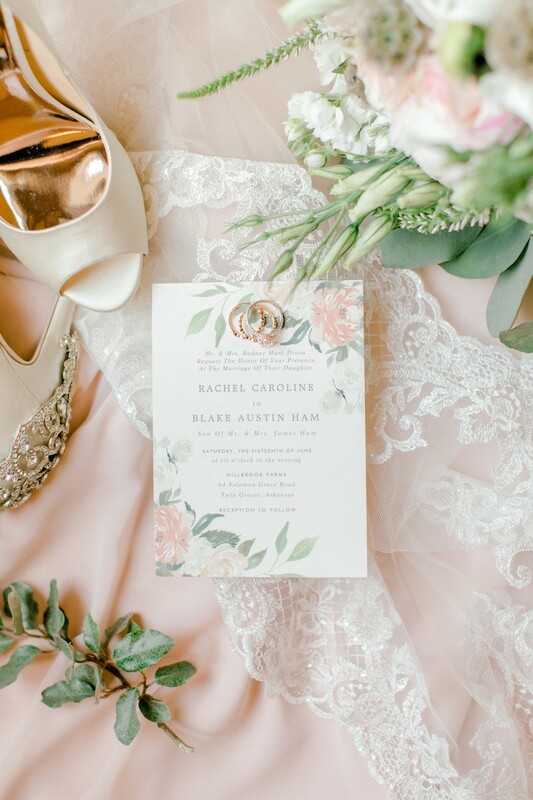 On her wedding style: "Romance, garden party, and southern inspiration. Our colors accentuated the romance theme since we used soft pastels. 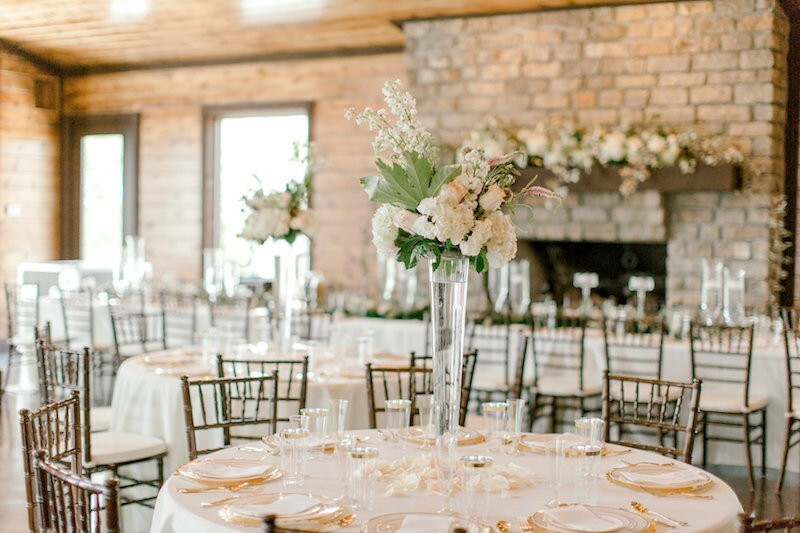 The inside of the barn also has beautiful chandeliers, and our florals all matched the pastels. Outside the barn, we had a cute trolley-like food truck and an old-fashioned ice cream truck as well as yard games. When it came to food, the chef utilized fruit and vegetables that were in season to make delicious salads and vegetable mixes. We had southern meatballs, BBQ pork sliders, Cuban Reuben sliders, steak and chicken skewers, cheddar biscuits and more." 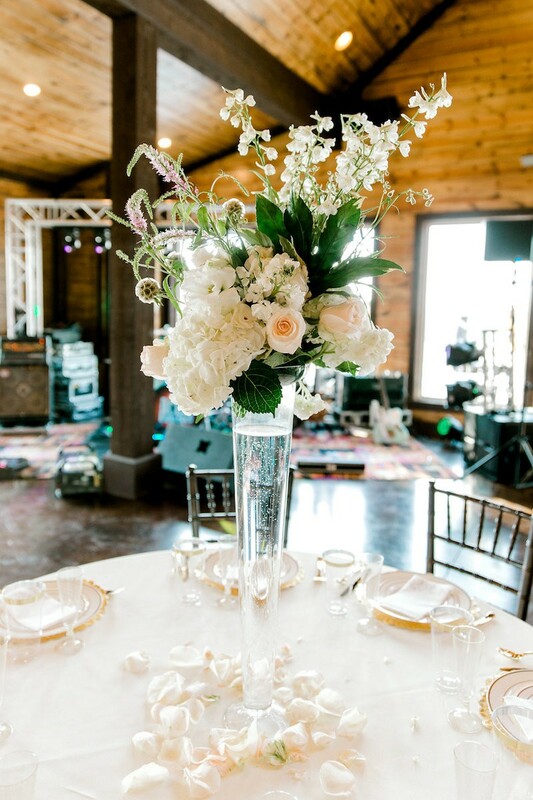 On her ceremony decor: "We had white folding resin chairs on each side of the aisle adorned with florals by Fairytale Florals in North Little Rock. 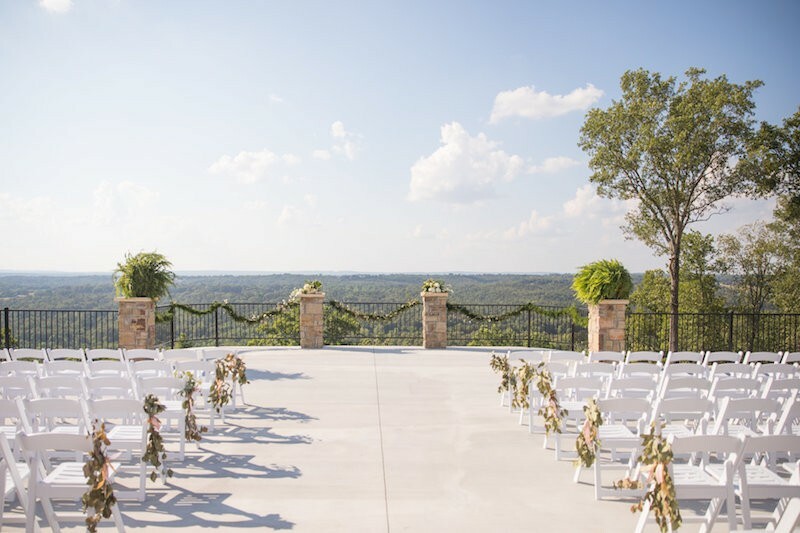 The iron fence was decorated with a garland and the stone pillars had florals and ferns set upon them. We went with ferns because they matched the lace on my dress. 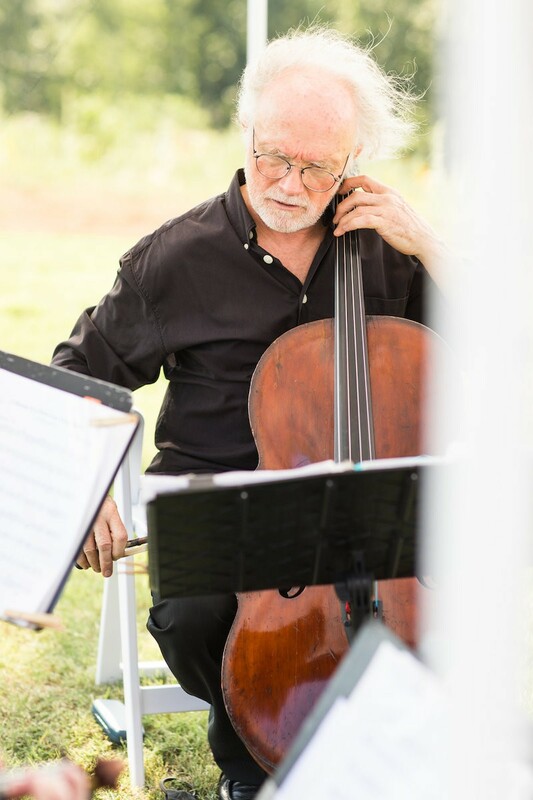 And each guest had a fan that doubled as our program." 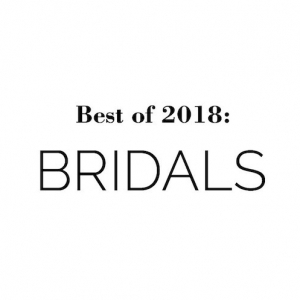 On her wedding blooms: "My bouquet was a clutch of white hydrangeas, white lisianthus, blush peonies, blush roses, blush dahlias, white veronica, white stock, scabiosa pods and silver dollar eucalyptus. 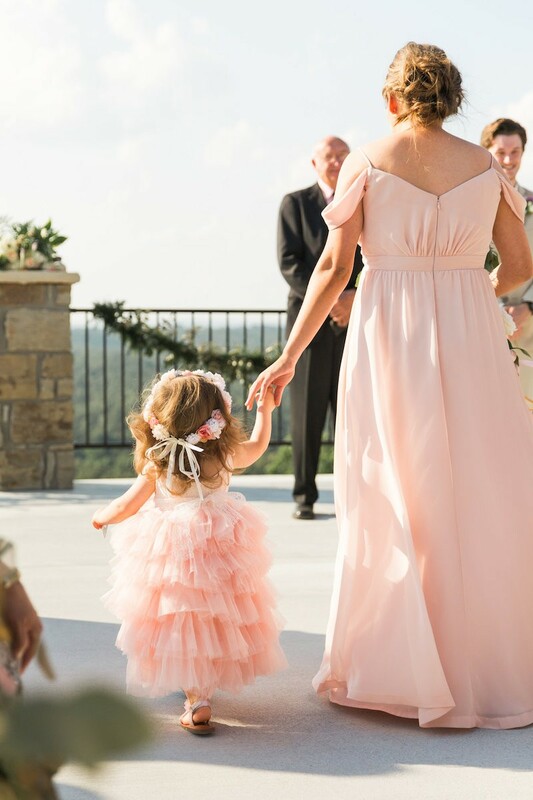 My bridesmaids carried bouquets that were smaller versions of mine. 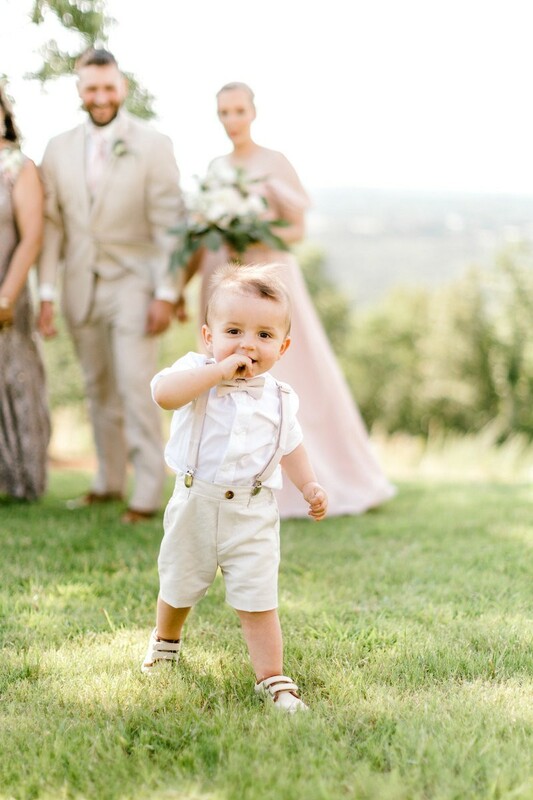 The groom wore a boutonniere with a white spray rose and veronica with silver dollar eucalyptus." 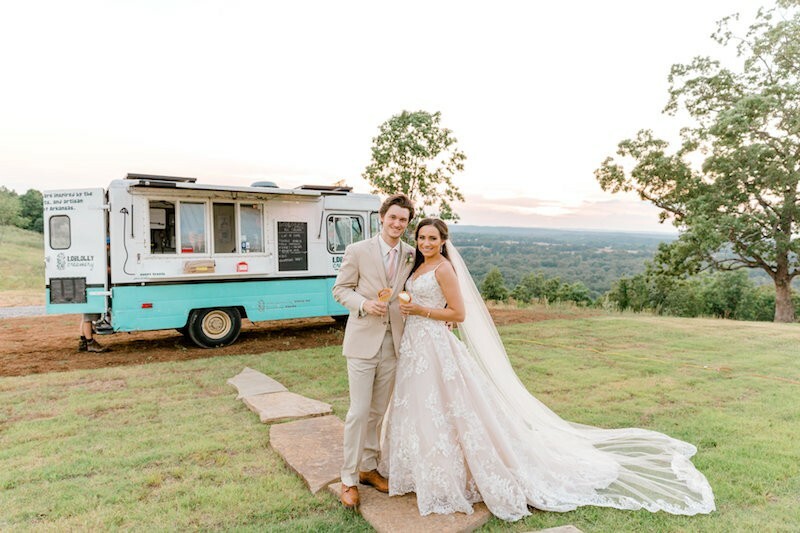 On her reception style: "We wanted a reception to remember, so we went a little non-traditional and had a food truck serve our dinner, an ice cream truck serve dessert, a caricature artist, and a photo booth along with our awesome band." 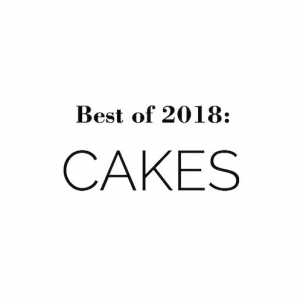 On her wedding desserts: "Since we had a small wedding, we only needed a 3-tier cake, but my mom loved the way 5-tier cakes looked, so we went with that. 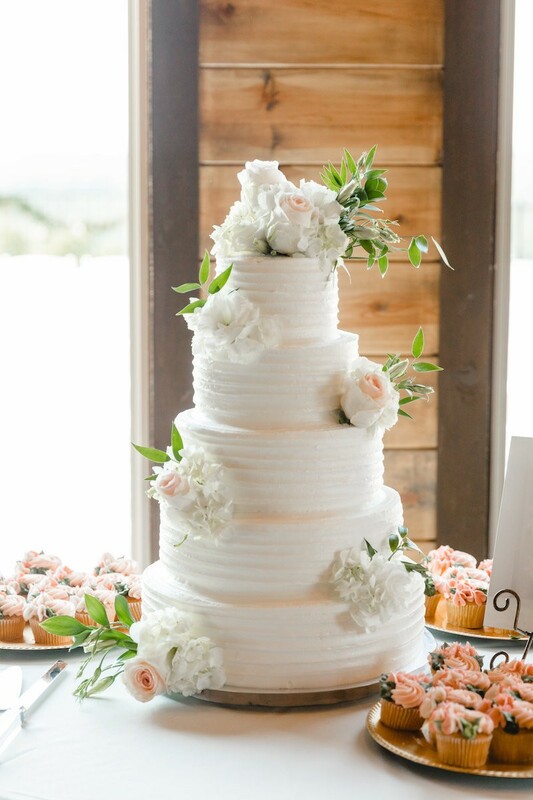 It was a traditional vanilla, textured buttercream cake with florals placed upon the sides and the top tier. We had cupcakes placed along the bottom of the cake. 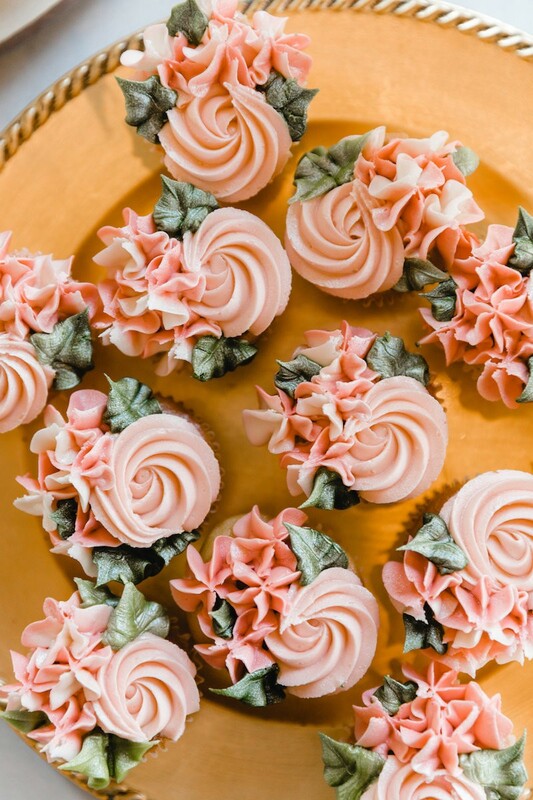 They were designed like flowers and were strawberry and lemon flavored." Her advice for the recently engaged: "Plan early!!! You can be a year out and think you have so much time left, but I promise you will forget something and you will be ordering from Amazon a week before your wedding. 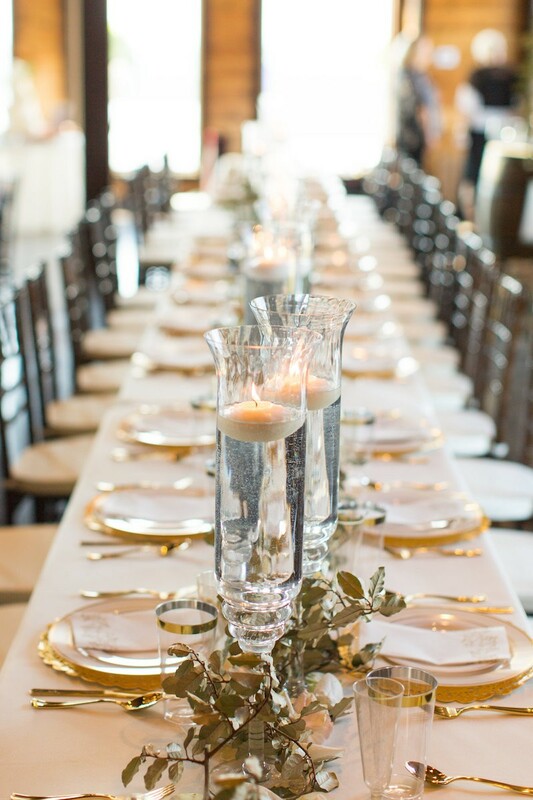 Even with a wedding planner, there were things that I forgot about so if you have any extra time, spend it planning and making sure you have everything you want." 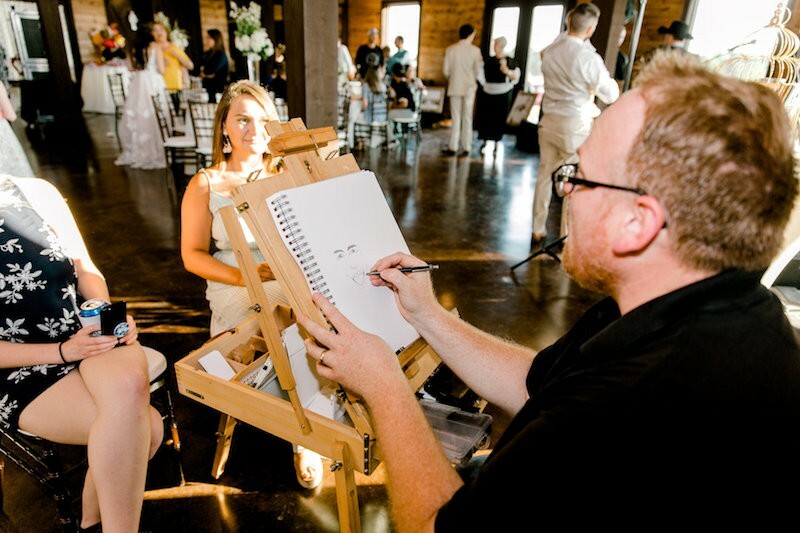 On what she loves about her groom and her favorite wedding memory: "His sense of humor. I feel like no one else in this world gets me the way he does. 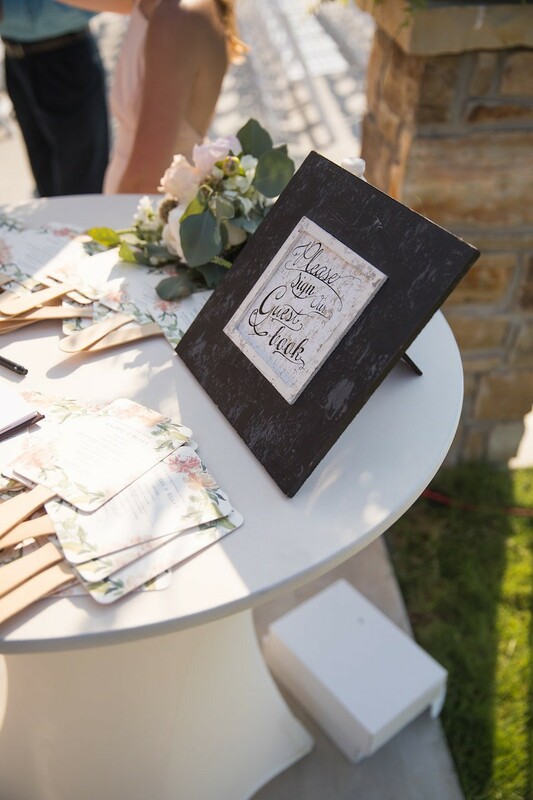 My favorite wedding moment was the ceremony when we read our vows to each other. 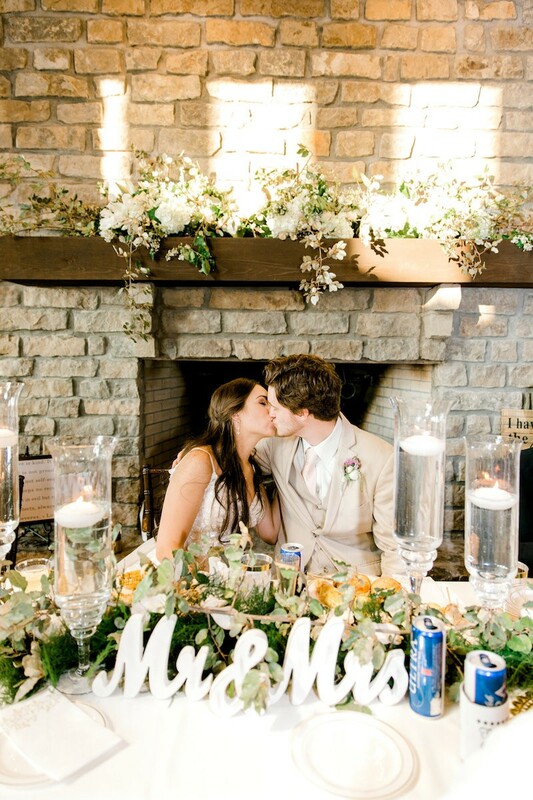 We wrote our own vows and it was so great to finally be able to read them to each other."